We are constantly expanding our range of Nautical Gifts and Decorative Items. Please keep checking this page to stay in touch with the latest updates. We also invite you to browse our available ship models category which displays all ship models for sale that are in stock and ready for dispatch. 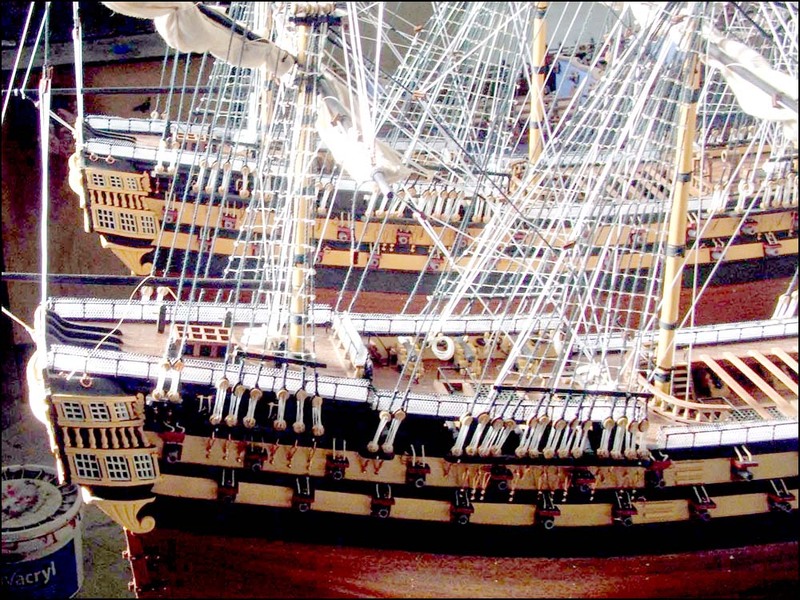 This British miniature ship model of the HMS Victory is made of moulded plastic and the sails are made of cloth. The wooden case is handcrafted and has glass panes supported by solid teak. This British miniature ship model in a display case is the perfect sailing gift for boys who are interested in British naval history. This French miniature model ship is made of moulded plastic and the sails are made of cloth. The wooden case is handcrafted and has glass panes supported by solid teak. This miniature Soleil Royal in a display case is a great corporate gift idea for events in the shipping industry or maritime museums. This Swedish miniature model ship is made of moulded plastic and the sails are made of cloth. The wooden case is handcrafted and has glass panes supported by solid teak. Miniature VASA in a display case is an ideal seaside gift for Swedish hosts and friends. This US Constitution miniature ship model is made of moulded plastic and the sails are made of cloth. The wooden case is handcrafted and has glass panes supported by solid teak. This miniature Sovereign of the Seas model ship is made of moulded plastic and the sails are made of cloth. The wooden case is handcrafted and has glass panes supported by solid teak. This small ship in a bottle is a pretty nautical decoration for the seaside home.